The report reveals that a major cost implication for firms replacing staff is the lost output a company experiences during the period of time the new worker is getting up to speed i.e. the cost of them being less effective until they reach their ‘Optimum Productivity Level’. The findings unveil that, on average, workers take 28 weeks to reach optimum productivity which has an attached cost of £25,181 per employee. This is by far the dominant cost factor for replacing a departing employee. The overall financial impact of staff turnover across the five sectors analysed amounts to a staggering £4.13bn per year. To bring this cost down, Unum recommends that businesses do more to retain existing employees. Linda Smith, HR Director of Unum said: “This report reveals a stark cost implication for businesses dealing with staff turnover. While the logistical cost of replacing an employee will probably come as no surprise to businesses, the financial impact of having replacement workers learn the ropes is probably a cost that businesses have not before considered. There are a number of additional factors which can lead to significant differences in staff replacement costs. On average new employees in SMEs (1-250 workers) take 24 weeks to reach optimum productivity, compared to 28 weeks for large firms with over 250 workers. What’s more, microbusinesses (1-9 workers) take an even shorter amount of time to reach optimum productivity at just 12 weeks. The report analysed the cost implication of staff turnover in five different sectors: Retail, Legal, Accountancy, Media & Advertising and IT & Tech. Differences between the sectors are revealed in the table below. These can partly be attributed to the varying salaries for each sector, but are also driven by the different periods workers take to get to optimum productivity. The report reveals that new workers joining from the same sector reach optimum productivity in 15 weeks – much faster than those joining from elsewhere. Workers joining from another sector spend 32 weeks reaching optimum productivity, new graduates spend 40 weeks and those coming from unemployment or inactivity spend the longest time at a full calendar year (52 weeks). Really? Gosh. CIPD calculated that the average of cost of replacing an employee is £4800, rising to £7000 for a manager/professional. That said, their study was undertaken in 2004! It would be be interesting to see how they might respond to this. Sorry but £30K is far to high to ‘replace’ – really!! and it is so generic it does not ‘hold water’ for me. I can imagine if it was someone in a sales or business dvelopment based role as ‘ sales pipeline can take 12 weeks to form’ but this research is far too GENERIC and you are right – it is completely indifferent to the CIPD guidance and having worked previously in 3 out of 4 areas highlighted I totally disagree with the results. • Recruitment agency fees: £454??? is this number missing a zero especially as VAT could actually be at 50% if not more!! of the total cost of £454 alone. Recruitment agency fee at £454. Who works at those ridiculously low fees? I can only speak for SMEs but many recruit the best leaders they can afford. They invest time, energy and capital attracting high-potential talent but then lack the bandwidth to provide an induction process that successfully engages their new hire from the outset or helps them to cut through distractions and establish where to focus to have the greatest impact on the numbers. 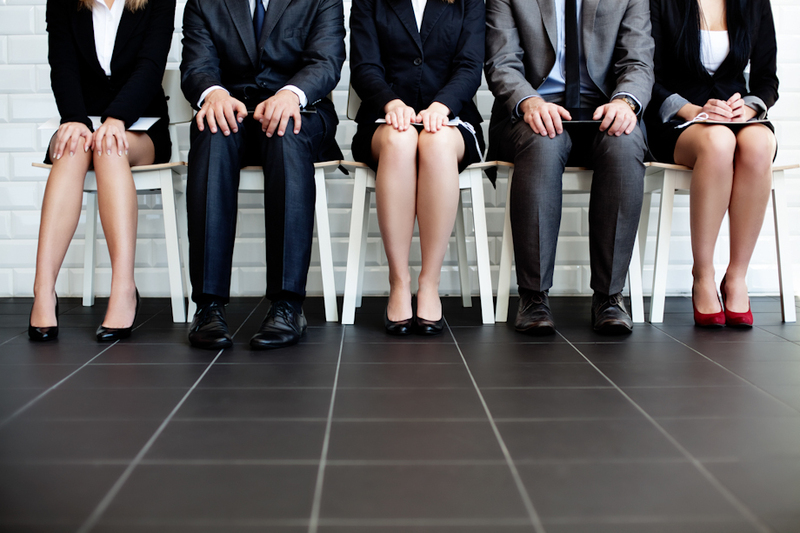 Could outsourced induction programmes be the future for SMEs? It could be much appreciated if you can let me know which Oxford Economic can you find those figures? CIPD are deluded if they think the cost of making a bad hire is just £7k and anyone that buys into that idea is a dangerous asset within a company. Most bad hires take at least 6 months to be fully identified and then there is a period of performance management out of the company. Plus the cost of disruption to the team, lost business, training and development and then the cost of replacing, training and bringing up to speed of the replacement and you can see how these organisation arrive at a figure in excess of £50k when a company makes a bad hire. In my experience, too often HR calculate costs against just the recruitment fee and until people responsible for the hiring process start to measure the true overall costs to the business, when a mistake is made, then recruitment strategy will not adapt and change in line with the business interests and needs. Hi there, I’d be interested to know exactly which report this is from? A reference would be good! Having done similar research ourselves I think this is pretty conservative, but this is very much an average by the looks of it, and will include a bulk of people who are lower paid and more easily sourced by cheap ads. Hence the admittedly absurd £454 agency fees; they’re an average and maybe only account for 20% of the hires. Without seeing the raw data it’s impossible to say. As a result they are, in our opinion, ‘low-balling’ the numbers for the many companies who don’t have factory/shop floor/call centre/factory workers. In such purely ‘professional’ environments the numbers become truly scary. Ads rarely if ever work, agencies become the norm not the exception, time spent by management/HR increases by five to ten times and the effect/cost of the time to optimum productivity goes through the roof. Then you can forget £30k, forget £50k, we’ve seen £100k and even £250k per head once you factor in all the elements, and we’re not talking about CEOs or star bankers. In comparison the CIPD figures can only refer to the headline costs, cost of ads/agencies etc. The fact is that once you dig down and look at it in detail recruitment isn’t just important for getting the right people, it is actually a make or break P&L line item, but because it’s camouflaged very few people realise. Hurrah! At last I got a blog from where I can in fact takee helpful facts concerning myy study and knowledge. Thank you for this, I used the statistic of cost in my recent blog article “how to ensure you hire the right person for the job”. Well if these figures are true, although some people in the comments disagree, then this just shows to go that maybe some companies should focus on employee training rather than keep renewing their work force. The cost of training would surely outweigh the cost to keep hiring new people, factoring in the fact that having one person work in a company for a long time is better for the individual and cultural aspect within the workplace, it would be silly to always hire new people. Definitely an average but I think once you factor in the 6 months + of lost productivity it’s fairly close to the mark. Pingback: Is Outsourcing IT a Good Business Move?